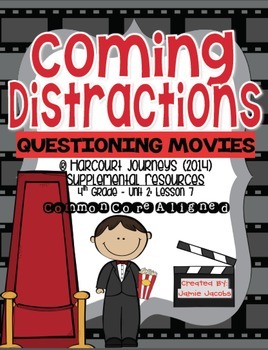 Here are 36 supplemental handouts for the Houghton Mifflin Harcourt Journeys reading curriculum that are based on the focus skills for "Coming Distractions". 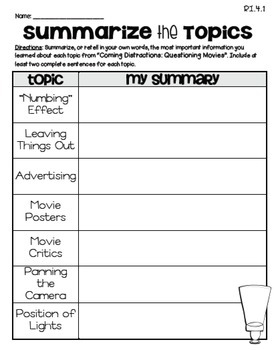 These resources can be used to guide your whole or small group instruction. 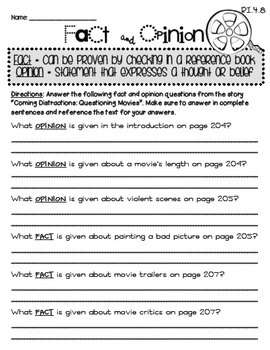 They can also be used as literacy centers, independent work stations, homework, and/or assessments. This unit has been aligned to several common core standards! 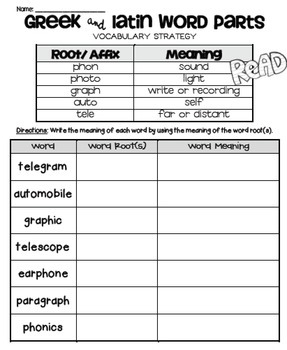 Included with this unit are engaging and challenging practice pages for the spelling, target vocabulary and strategy, story comprehension, and the target skill. There is so much to choose from! This unit is for single classroom use only. Please respect my work and do not share with your teammates, unless multiple copies are purchased. This work is licensed under a Creative Commons Attribution-NonCommercial-NoDerivatives 4.0 International License.This license is the most restrictive of our six main licenses, only allowing others to download your works and share them with others as long as they credit you, but they can’t change them in any way or use them commercially. Disclaimer: HMHCO has not reviewed any of the material.